YM Wellbeing, a new 14,000 TEU full-container vessel built by Imabari Shipbuilding Co., Ltd., was named at a ceremony held on 18th September, 2018. Yang Ming Marine Transport Corp. (Yang Ming) Chairman Bronson Hsieh and his wife Chen Hui-Li were both invited to the naming ceremony; Mrs. Hsieh took on the role as the Lady Sponsor to officiate the naming of the new ship at Imabari Hiroshima Shipyard. YM Wellbeing, constructed by Imabari Shipbuilding Co., Ltd., is the first of five 14,000 TEU full-container vessels Yang Ming chartered from Shoei Kisen Kaisha, Ltd.. Furthermore, YM Wellbeing is the 16th 14,000 TEU vessel to join Yang Ming’s global container fleet. This new ship is designed with a nominal capacity 14,220 TEU and equipped with 1,000 reefer plugs, LOA 366.44 meters, beam 51.2 meters, summer draft on 15.524 meters. The vessel can cruise at a speed up to 23 knots. Yang Ming as usual strives for environmental protection by adopting the most eco-friendly design and modern equipment for its ships in compliance with the latest international regulation. 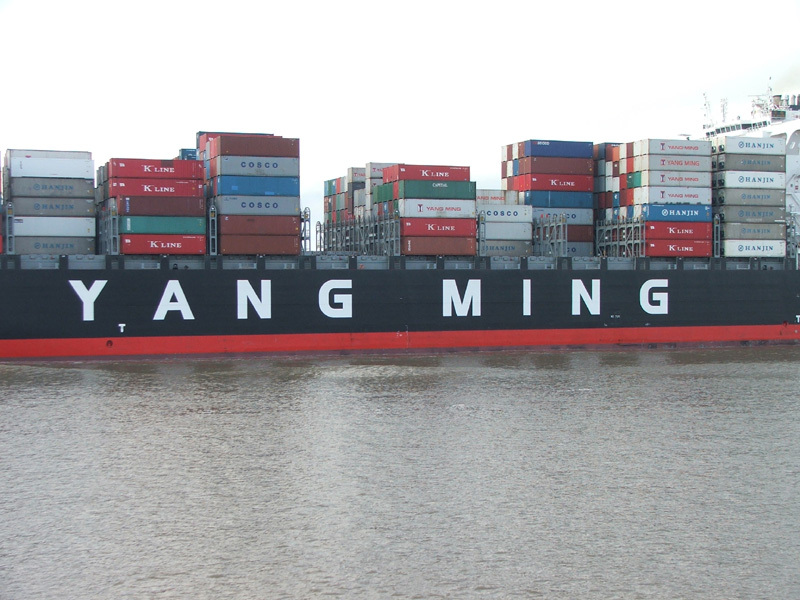 As one of the major global liners in a severe market situation, Yang Ming has never held back from enhancing its competitiveness by expanding the fleet coverage to varied size segments, and lowering the fleet average age by replacing older vessels with new ones. With aforesaid improvement in fleet quality and quantity, Yang Ming continues to provide customers worldwide with safer and more reliable delivery services. YM Wellbeing will be deployed on THE Alliance service. With the launch of the newbuild, Yang Ming will gain more strength in the competitive market through this robust network and deliver more efficient and comprehensive services. YM Wellbeing is to be deployed on the MD2 Service on 5th October, 2018. The ports of call are in the following order: Pusan–Qingdao–Ningbo–Shanghai–Kaohsiung–Shekou–Singapore–Piraeus–La Spezia–Genoa–Fos Sur Mer–Piraeus–Singapore–Hong Kong–Pusan.